A huge congratulations to Zach, who today was presented, in front of the whole school, with a Barnsley School and District Tie during our Special Mentions. 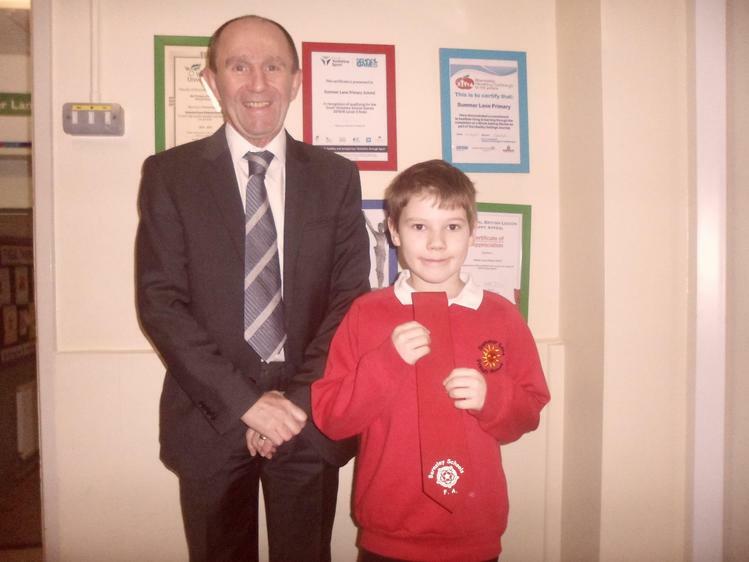 Zach was presented with his tie by Mr Gates, Chairperson of Barnsley Schools football, in a tradition that goes back to the 1950s. Only 16 boys under 11 are given a tie in the whole of Barnsley. Zach will be expected to wear this tie when he represents Barnsley against other towns. Previous recipients of the tie are players like John Stones! Let’s hope Zach follows in his footsteps!